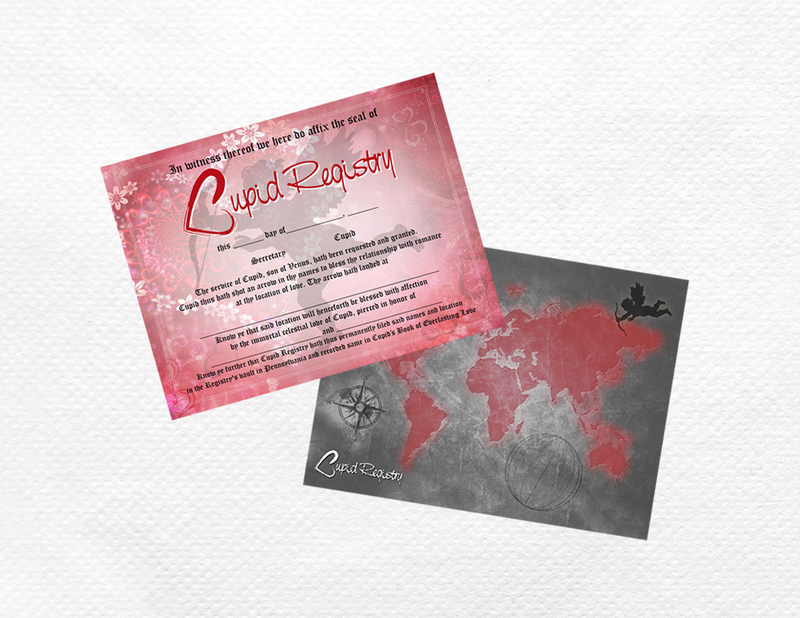 A beautiful 11x14 full color parchment certificate, stamped with Cupid’s blessing, made out to you and your loved one. The Cupid Custom Package includes a personalized 3-D appearing map with Cupid’s arrow shot into your specific love site coordinates. You also receive a personalized congratulatory letter. 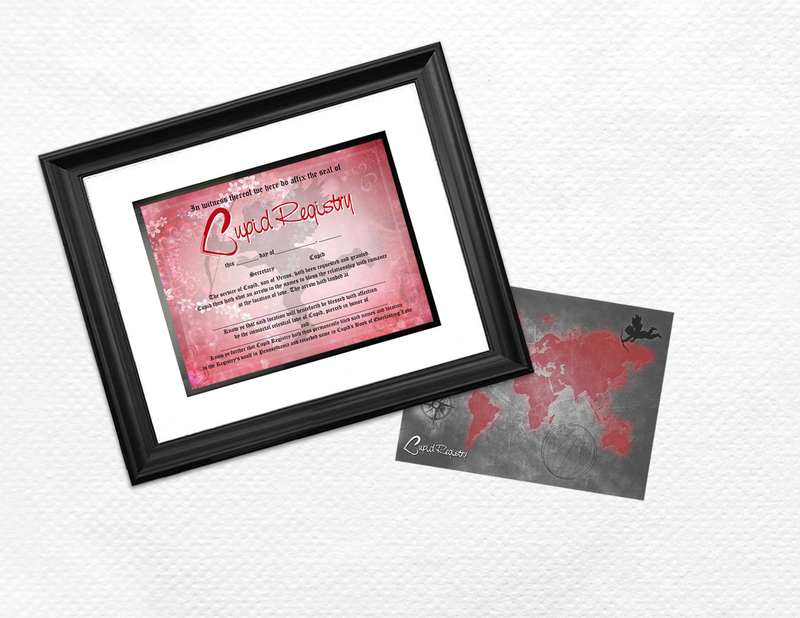 The Deluxe Package includes everything in the Cupid Custom Package plus the certificate is beautifully double matted with an elegant black onyx colored frame. 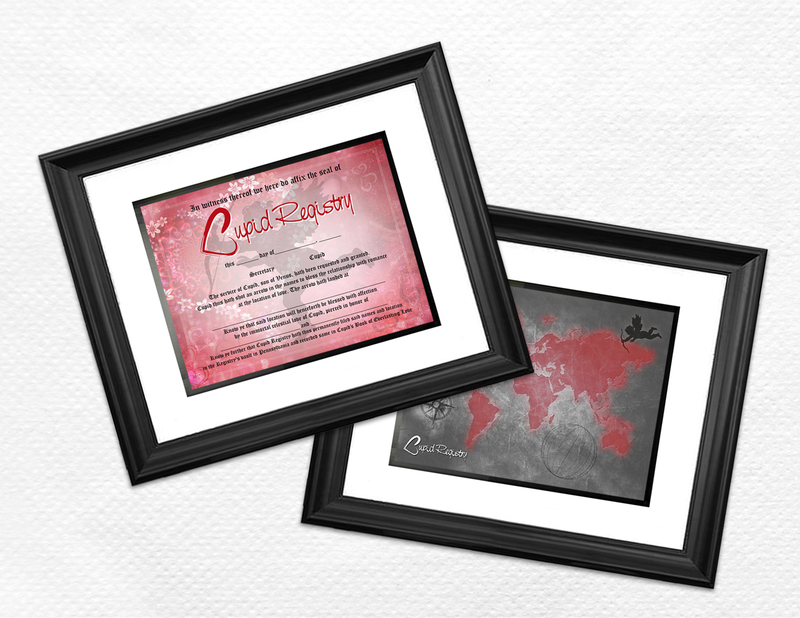 The Awesome Package includes the Cupid Deluxe Package plus a duplicate frame for the personalized love coordinate map.